COMING UP... Chill Out Sundays, New opening times, legendary Baby Social, Film Nights and MORE! 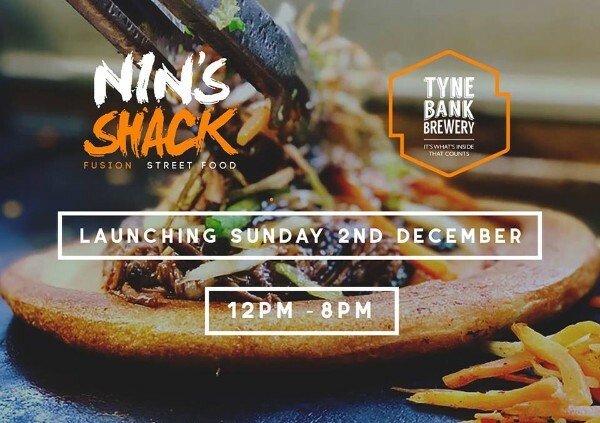 Absolutely chuffed to announce that starting from Sunday 2nd of December we are launching a new Sunday food collaboration with street food vendor Nin's Shack! Nin's Shack will be serving up an array of Sunday menu delights including the famous Yorkshire pudding wraps (& much more). What better way to wash it down with a beer straight from our brewery. You know it makes sense. Every Sunday! Child & Dog friendly. Free entry. 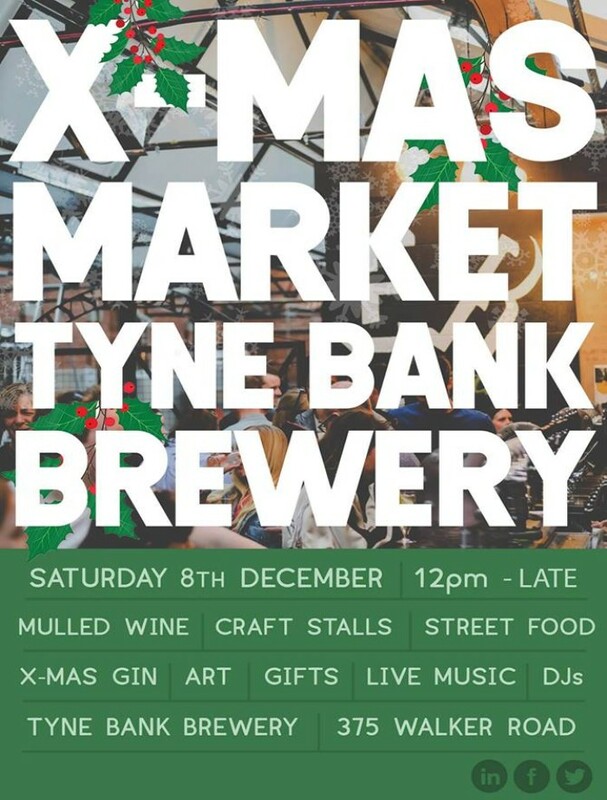 We know how much coffee and cake can go a long way to warm our souls, we are delighted to announce our good friends at Tynemouth Coffee Company will be providing us their famous Jingling Geordie Coffee beans so we can serve you all your favourite hot drinks along with a tasty slice of cake. Every Sunday! To round the day off we will have Patrick Kelly of the superb Many Moons to play some upbeat acoustic tunes. 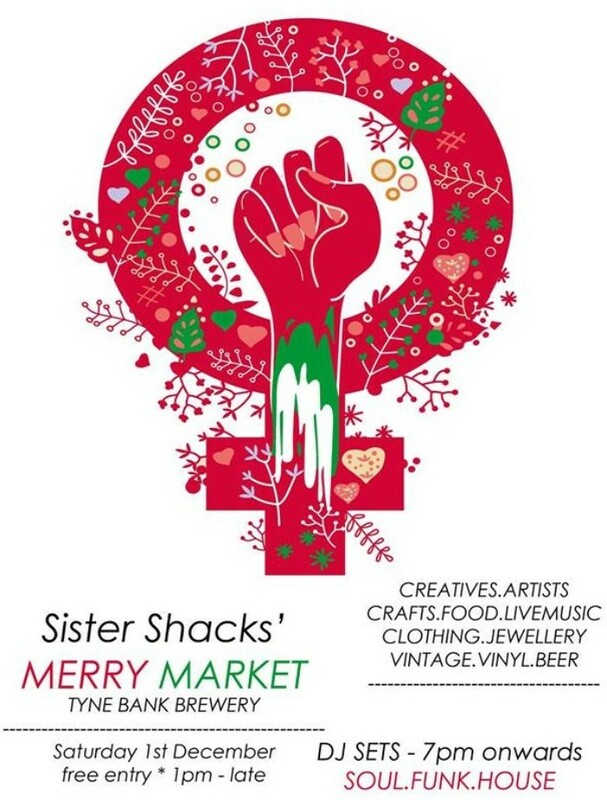 SISTER SHACK is bringing its second event to Tyne Bank Brewery. They will be showcasing stalls and exhibitions from local women with creative, entrepreneurial, musical and artistic backgrounds! Live Vinyl DJs will take the stage from 7pm, bringing you the best in, Soul, Funk, House, RnB, and lots of other grooves. FOOD from Deux Doof and of course, great beer & other drinks in the Tap Room. 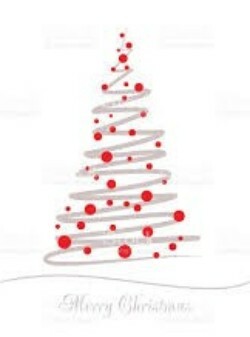 Expect mince pies, mulled wine, festive tunes and all things Christmassy! We will be welcoming and joined by some of the most talented makers and creatives in the North East! Artists, jewellers, illustrators, potters, Vinyl sellers, woodworkers and loads more! It'll be a perfect opportunity to grab some stocking fillers and handcrafted, bespoke gifts. Free entry | Child & Dog friendly | Support your local creatives. The heaters will be on. Get cosy with some sharing boards and let the young un's socialise! We'll have some Amble butcher's pies at this one along with the usual brownies, flapjacks, caramel shortbreads, Proven Doughnuts & meat and cheese boards! 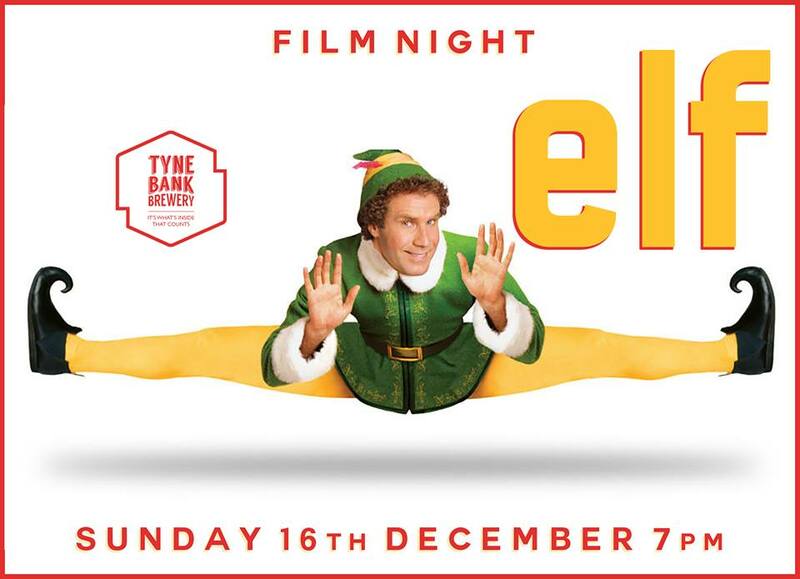 Our annual Christmas showing of Will Ferrel's classic will take place on Sunday 16th December following our Chill Out Sunday with Nin's Shack and you're all invited. Film starts at 8pm. We'll have popcorn, nachos, sharing boards and of course fresh beer from the brewery. 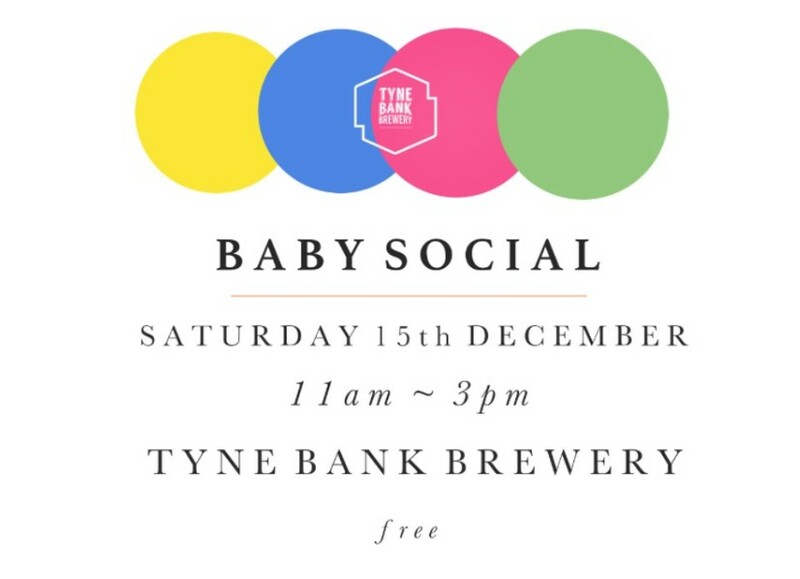 SATURDAY 22ND DEC ~ Family Christmas | Christmas is all about family, what better way to spend it than here at Tyne Bank with cosy heaters and a hog roast? MONDAY 24TH DEC ~ Christmas Screening | Don't miss out annual screening of It's a Wonderful Life, starts at 3pm.